Designing native plant gardens with a succession of interest from spring through winter is challenging, but not impossible. 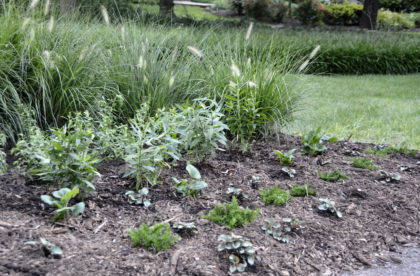 Eileen Boyle and Duncan Himmelman, skilled horticulturists and landscape designers, present a handy template that demonstrates different ways to incorporate hardy groundcovers, perennials, shrubs, and trees into a variety of garden settings. For new home owners or those who want to transition their yards into native “plantscapes”, learn how to give your property color, texture, and visual interest throughout the year. Snow date for any postponed class is Thursday, February 8, 2018. This class qualifies for the following professional credits: 4 APLD, 2 CNP credits with DNLA, ISA, and 4 NOFA AOLCP. Four professional development hours (PDH) have been approved for this class through LA CES. This class meets LA CES standards for HSW subject matter.